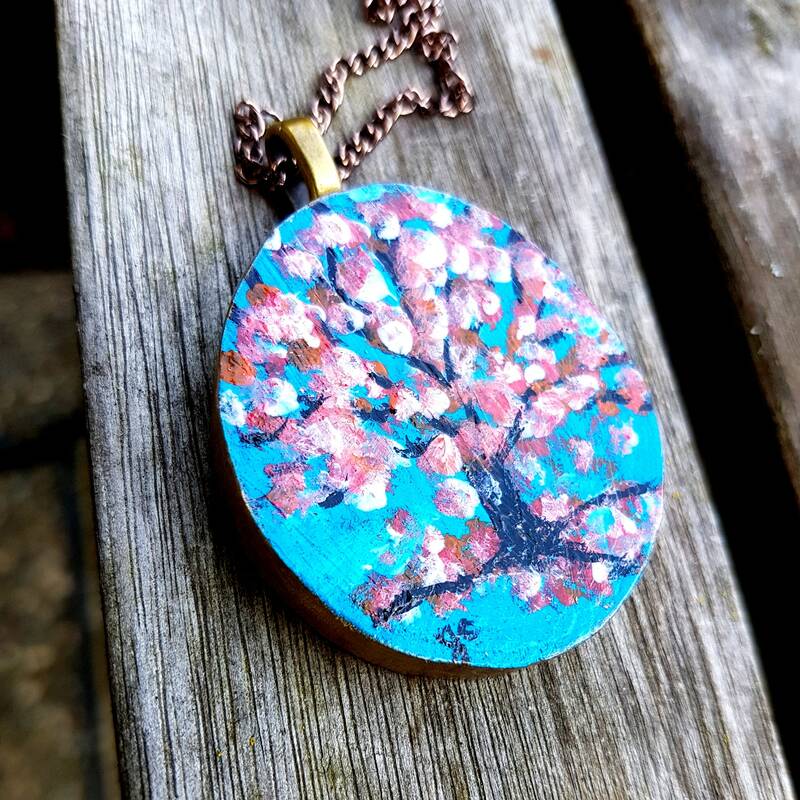 Spring Cherry Blossom tree keychain! 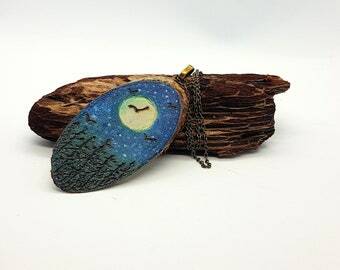 This live edge birch wood keychain has been hand painted by Jen Curtis. 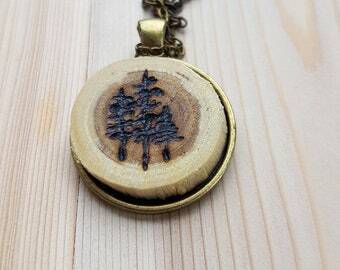 Ready to ship, this One of a Kind keychain is a unique and special gift idea for an nature lover! 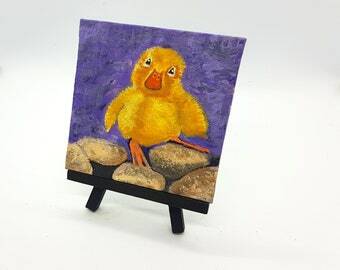 Please note that the other photos are of different keychains also available in my shop. Romantic and pretty this image shows a gorgeous Cherry Tree full of spring blossoms. Shades of blue background with pink and white flowers and black branches!The outer live edge part of the wood has been painted in gold.